FOR WEEKS he claimed she threatened him with a knife, telling him she was going to cut off his 4-5. But when he was eventually attacked, he learnt a painful lesson he will remember every time he takes off his pants. BOILING WATER WAS POURED OVER HIS 4-5, SCARRING HIM FOR LIFE! Ishmael Radebe (45) from Daveyton in Ekurhuleni claimed his wife of more than 16 years accused him of cheating. 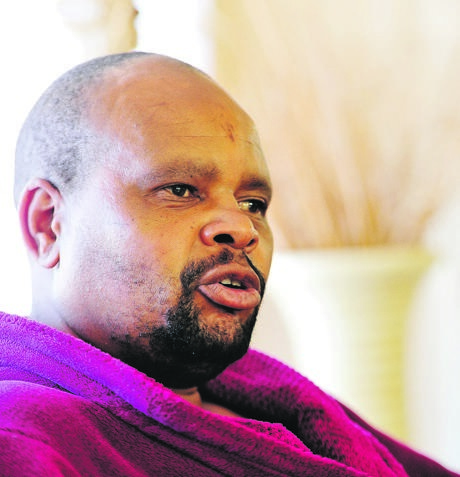 From his sister’s home in Boksburg where he is nursing his burn wounds, he told Daily Sun how his 4-5 was damaged. He claimed what sparked the attack was when he came home after 9pm on 28 October. “She never said a word,” he claimed. “While I was in bed, I saw her with a pot of boiling water coming towards me,” he claimed. He claimed after she dropped the pot she ran away. The boiling water burnt his 4-5, pelvic area, thighs and hips. Ishmael said he screamed at the top of lungs in pain and raced to the fridge to get ice. He called his sister, who called an ambulance. He was taken to hospital and came back two days later. Ishmael fears going back to his house. He claimed for several years, he had been on the receiving end of his wife’s abuse. “She has been beating me up and hitting me with pots, and provoking me to fight back so she can have me arrested,” he claimed. He said he just wants peace and for the law to take its course. He advised other men who are abused by their partners to speak out and not to be ashamed. Police spokesman Constable Justice Ramaube said the charge was changed from assault to attempted murder. Daily Sun phoned his wife, Lindiwe Maphanga (43) and asked her about the burn wounds which Ishmael accused her of inflicting. She did not respond and just hung up the phone.